Spectacular sunset over the old jetty piles at Port Willunga, South Australia. The holes in the cliffs are dug outs where fishermen housed their boats in days gone by. The light from the sunset coming across the sea making a path to the setting sun and the way the cliffs glowed in the brilliant orange light. 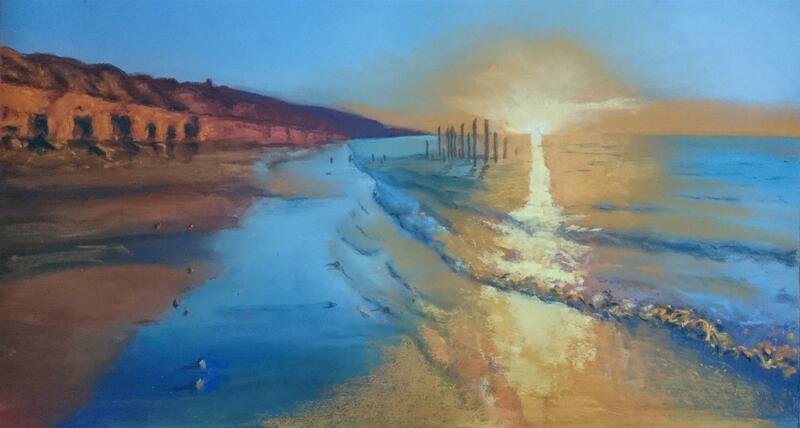 Port Willunga Sunset (South Australia) by Winston Head is available Unframed for $300. To purchase Port Willunga Sunset (South Australia) please complete the form below and press Send.